I was up at the crack of dawn and through my window I noticed Jupiter, brilliant and bright after the rain and presenting a perfect photo opportunity. 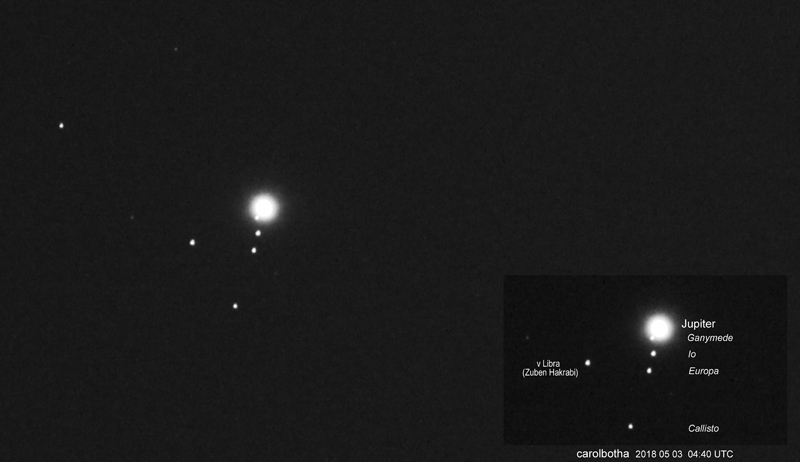 Through my camera lens I could see three of Jupiter’s moons lined up to one side of the planet. After downloading the images to my computer, I was thrilled that the fourth moon, Ganymede, showed up in the glow of the planet as well, but that was not all that became visible. There was a definite faint greenish object in all of my images. Lens flare/ ghosting came to mind but it just seemed different. The object was somewhat elongated. I was imaging in the constellation of Libra. Could there be, had I found, what in heaven’s name was this strange object in my images? It was then that I read all about Comet 4P/Faye sailing through Libra ( May 2018), plotted on charts almost precisely at the location of the object in my images! 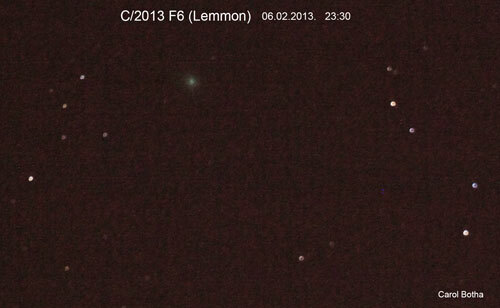 Did I stop to ask myself whether it would have been possible to capture a +22 mag comet with my camera? No! Did I think that maybe the object was moving too fast in 10 min intervals to be a comet? No! I had read that 4P/Faye was a mover. The scales tipped, I almost jumped out of my skin, I had imaged another comet! 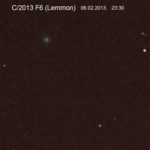 Nothing close to my previous Mc Naught, Lovejoy or PanStarrs but a very dim one this time, even dimmer than Comet C2012 F6 (Lemmon) which I imaged in 2013. The comet sage in Libra still weighs heavily on my shoulders. If it were not for Slooh members, who are regular comet hunters, my image could have gone down in history as a hoax. 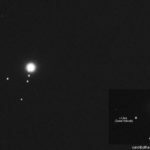 They pointed out that comet 4P/Faye was far too dim – even for the Slooh telescopes. But there was something there which I could not ignore and so I’ll always remember that morning when the Ghost of Comet Faye paid a visit in Libra…. Footnote: Do not try +22magnitude objects at home!